The NV is a limited liability company similar to the U.S. "C" corporation ("Inc") and the Latin American and Southern European "S.A.". Flexible corporate laws provide a variety of structuring possibilities for international investors. Ministerial "Declaration of no objection" is not required and as a consequence a NV can be incorporated rapidly. The Articles of Association are form free and may be drawn up in various languages, which makes it possible to resemble own legal system entities. A NV is not obliged to publish or audit annual accounts. 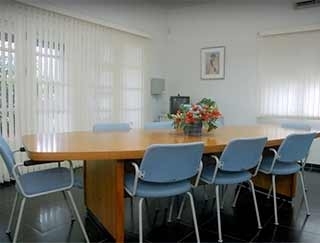 The Management Board can be organized as a one-tier or a two-tier Board. A NV can be converted (through a corporate continuance) into other legal entities and vise versa (also foreign entities). No minimal capital requirements apply (unless mentioned in the Articles of Incorporation. Ministerial "Declaration of no objection" is not required. Formation is quick and relatively informal. The Articles of Incorporation can be in any language. Management arrangements could be similar to common law models. A BV can be converted into an NV and vise versa, or they can merge. Investment in debt instruments, securities and deposits. The licensing of intellectual property and industrial properties and similar assets in accordance with the laws of Curaçao or the laws of other jurisdictions. The Private Foundation is objectively tax-exempt from Curaçao profits tax (nor subject to gift tax or inheritance tax). The Private Foundation,in principle, will have the tax-exempt status if it does not make a profit conducting a business (enterprise). Holding and managing the assets is, in principle, allowed. The Private Foundation can make, to the discretion of its Director, distributions to its incorporators or to others out of its income and/or assets. Incorporation can be done rapidly, formalities are few and it is flexible. Ability to make private contributions. The Founder does not have to be disclosed and Beneficiaries do not have to be named or informed. It can be converted into a legal entity of a foreign jurisdiction, if this is accepted in the foreign jurisdiction. An ideal entity for Estate Planning and asset protection. A low 2% tax rate. No sales tax on any turnover generated on sales made abroad. 3. other forms of service aimed at countries abroad, including warehousing, and new trade activities and trade support activities and other service activities to be placed in the international context that can be performed with or in behalf of electronic communication and information opportunities. 2. Services as contemplated in the first paragraph, subsection d, item 3 will not include services with regard to financial services, royalty payments, insurance- and reassurance activities, including services regarding as director of entities, registered or actual managed in Curaçao and other services regarding trust as well as notary-, lawyers-, accounting, fiscal- and similar services.